I've mentioned before what a camera hog Lily-kitty is. 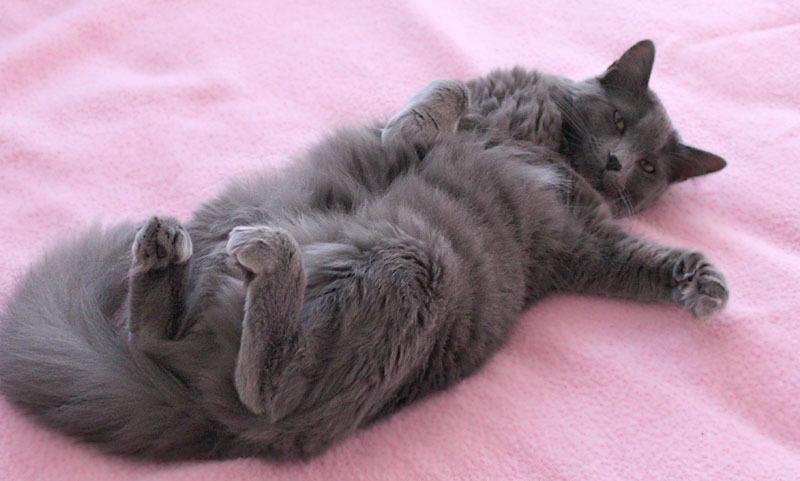 Saw her posed on the bed like this and she stayed there, watching me, while I went to get a camera and took several shots. As soon as I switched the camera off, she rolled over and got up. A little kitty beefcake, anyone? A couple of people asked about my new router. 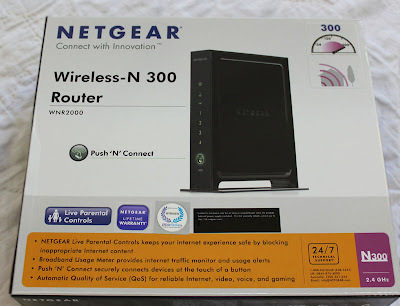 I bought the Netgear Wireless-N 300. We tried to get it at Fry's but it was out of stock - and I would have walked away anyway rather than continue dealing with the very pushy, obnoxious sales clerk - and ended up at Best Buy where it was on sale for under $60. With Netgear's very clear instructions, it took me less than 30 minutes to switch from the old to the new - and that included untangling cables. So far, I'm very pleased (hope that doesn't jinx me.) 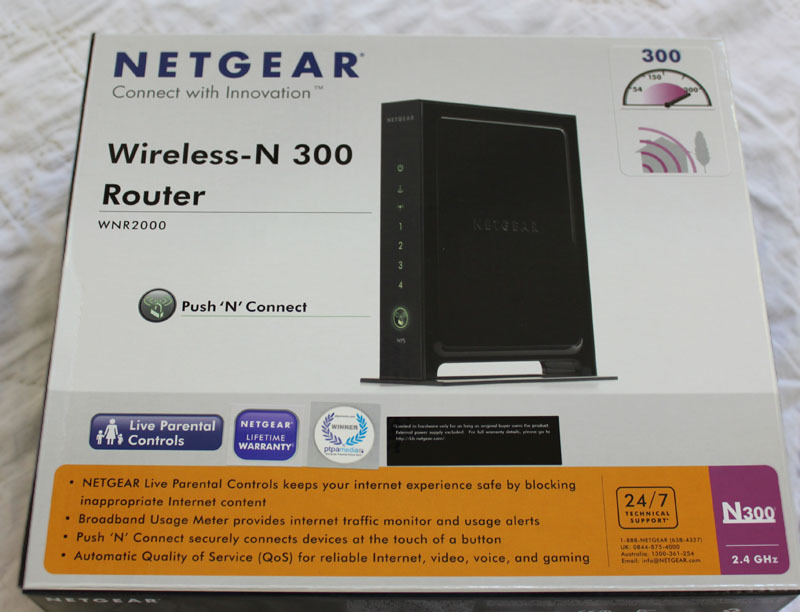 We have a strong, continuous signal throughout the house, even in rooms separated from the router by several walls, and we can have multiple computers online at the same time - neither of which our old router could handle. There is a Wireless-N 150 that covers less area (for smaller houses) and a larger, business version that the tech guy said was overkill and too much trouble to get working correctly. Hope this helps - let me know if you have more questions and I'll try to answer them. I Call It "Cat with Clock"